To get a great psychic reading in Sedona from a Sedona psychic here is what you need to know. First ask yourself, why you are going to a psychic, meaning are you going for entertainment only, or are you looking to receive valuable information on questions you have or situations in your life you want direction or clarity. For entertainment purposes you may be open to anything coming through from the psychic, however, if you are looking for psychic and intuitive direction and information that can best support you in your life, knowing what questions you want to ask before the psychic starts the reading, will make the best use of your time. Some people have a misconception of psychics, thinking that the psychic will know what the clients wants without asking it, and deliver it in a reading, this is usually not the case. A psychic receives information in bits and pieces, flashes and insights, and the issue or question the client has on their mind may come through or it may not. Your life is very vast, and the Universe or Higher Source is there wanting to support you in our life, and if you have an intent, then the information coming through can be focused for you. Some of the areas you might ask questions in are: relationships, family, career, studies, health, life’s purpose, spiritual path, finding inner peace, direction in life, loved ones here, and passed over into the spirit world. 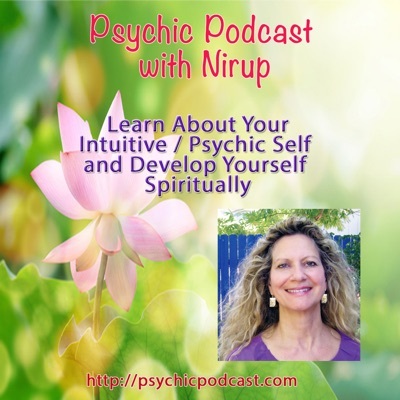 Choosing the right psychic or intuitive for you is important. Not all psychics work in the same way. Some psychics prefer not to have you ask questions, and others prefer it. Some psychics are more intuitive and do not have the ability to see images, but have a sensing more or feel things. The difference is clairvoyance (clear seeing) and clairsentience (clear sensing). We have our specialties in what types of readings we like to give. Specific areas we may want to focus on, such as psychic medium readings, where a psychic connects to loved ones on the other side. General psychic questions, spiritual psychic readings, understanding yourself spiritually, spirit guides, emotional and psychic work together. I myself and other psychics as well may combine many of these areas, but others may not, so ask the psychic if what you are looking for is the area they have an interest in. Another consideration when going to see a psychic is, how do you feel about the psychic, do you have a good feeling, a sense of feeling this is the right one for you. If not do not schedule with that psychic, as your level of openness and trust will not be there. Sometimes we are lead to whom we need to see, so we want to trust this. It may be that one psychic has something for us to hear that another psychic may not have. It is best if you feel you are in a safe place, relaxed, comfortable and open-minded. Why?, because tension creates a barrier, also if you are overly skeptical or very upset about something, it is as if your doors are closed, and no psychic intuitive counselor can easily get through that barrier. It is important that you are willing to give me your permission to “psychically look” into your condition and relative issue. Being willing to participate, a good psychic reading is a two-way street interaction. The more aware you are of your issues and corresponding questions, the more effective the reading will be. Don’t try to block your psychic or try to find out how good he or she is by holding back information to test the psychic or giving them false information, to see if they will pick up on it or not; this is a waste of time and energy. It’s not that hard to block someone. You will shut out even the most talented psychic with this type of behavior. Listen to what the psychic has to say. The more open you are, the easier you will be to read and the deeper the information you can get. And that’s the point, isn’t it? Having realistic expectations, the way life really works is the same way a psychic reading works. It comes in “bits and pieces”. That is to say, we receive life’s information in fragments and then we must figure out how best to use the information. We cannot see our life from start to finish. The best we can do is be present to what is in our life in the moment and act accordingly. Psychic secret; psychic information comes in flashes, bits & pieces, and slices. No psychic can see all aspects of your life, make your problems disappear, or provide for your dreams to come true! But, we do promise a few valuable insights, some clarity which can give you the opportunity for making better decisions for your best and highest good. Remember, your life is the product of your free will and the decisions you have made; so is the rest of your life and a psychic reading can help with those future decisions. Ultimately it is up to you to sort through the information that has been provided and to make you own decisions how to best use it in your life. A psychic reading is only a guide to show you possible paths that you can take that would benefit your life, but the responsibility falls on you to make those choices or not. Ask for clarification when needed, if you don’t understand something that has been said, please ask for clarification. Non-understandings and misunderstandings are easy and can be common in psychic readings. We all have different backgrounds and therefore can have different frames of reference for words or phrases. So if something is not understood, please ask. Being on time for your psychic reading appointment, there are other clients scheduled around your appointment. Please call if you need to reschedule your appointment. There are many wonderful psychics and intuitives in Sedona AZ, you will be sure to find just the right psychic for you.